Take part in a paranormal investigation with the RISEUP team. 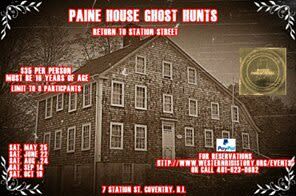 Investigation is from 7pm-12am This is a great experience for everyone from experienced investigators to just the curious. 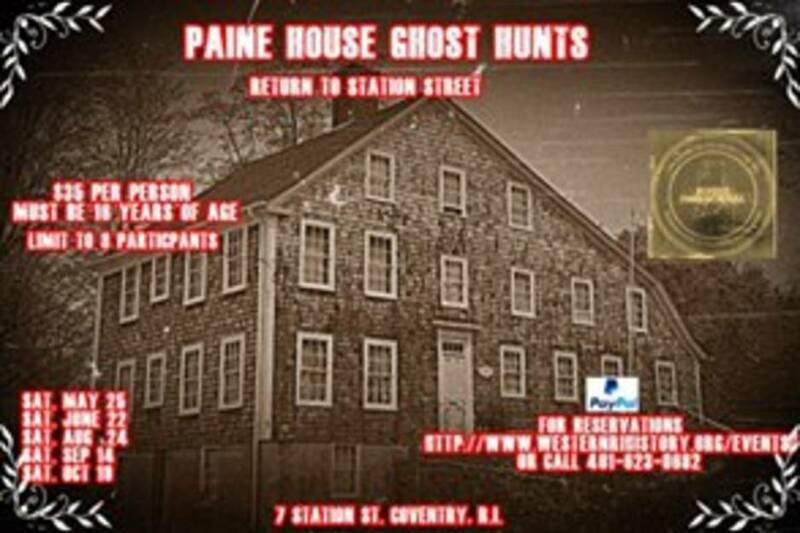 The Paine House Museum, an historic home that dates back to the late 1600’s, has been a hub of paranormal activity. You will be under the guidance of the experienced RISEUP team which has spent countless hours documenting this spirit treasure. Reserve your spots using the PayPal button below or call 401-623-0862. Participants must be 16 years or over. Space is limited to 8 participants per investigation.